Today we are celebrating a belated Thanksgiving with Mr. Bread Maiden’s family. We spent last Thursday in Hong Kong eating Thanksgiving dinner at a barbecue restaurant with my family, so it was only fair to celebrate once more a holiday that is all about excess. When I asked what I could bring, Slow Learner (can we please retire this nickname? When your breads are equal and superior to mine, you need a more suitable nickname befitting your status as a co-Bread Maiden!) suggested biscuits. This is my favorite biscuit recipe. 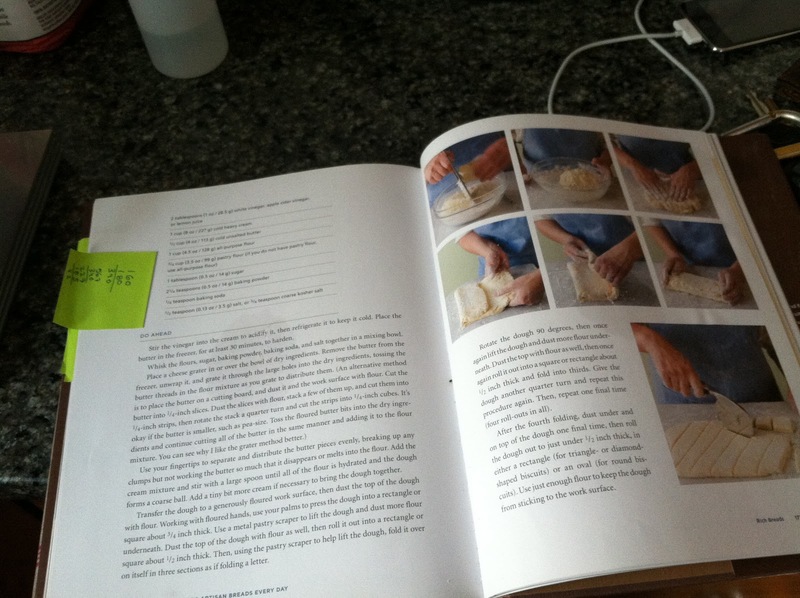 Not surprisingly, it is from Peter Reinhart’s Artisan Breads Every Day book. I’ve made it so many times, it’s shocking it hasn’t appeared in this blog sooner. I use this dough not only for biscuits, but also for pot pie topping. Low-calorie these biscuits are not. But heavens are they tasty, to quote a well-known radio host whose name rhymes with Karrison Geillor. 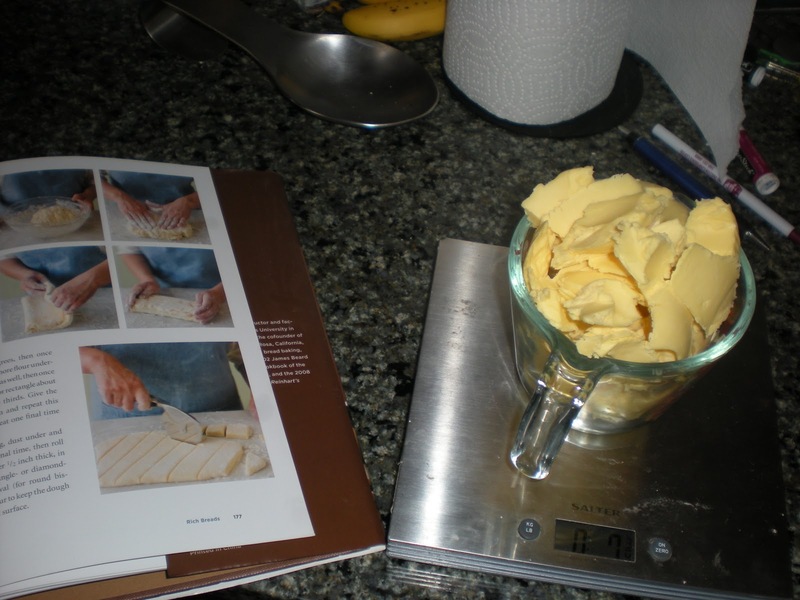 There are several reasons I like Peter Reinhart’s recipe for biscuits. For one, it uses cream laced with vinegar instead of buttermilk, to preserve the high fat content of the cream. Second, this: he has you freeze the butter, then grate it to cut down on the time spent cutting the butter into the dough. Ok, so now that I have you convinced this is the holy grail of biscuits, let us proceed with the recipe. Ok, just a quick note. There are some of you who like a more crumbly biscuit, one that falls apart in your hands and barely comes together for baking. This recipe makes a slightly firmer, though still quite tender and very flaky, biscuit. 1. 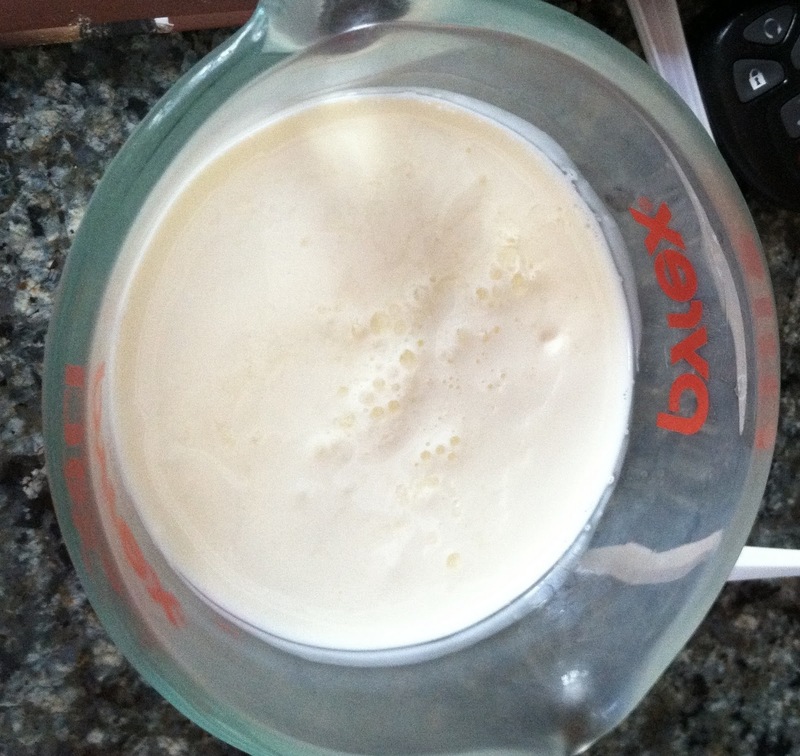 Add the vinegar to the cream and put in the refrigerator to chill for 30 minutes or so. 2. Put the butter in the freezer (if you haven’t done so already) to get nice and cold. 3. While the butter and cream are chilling, mix up the flours, sugar, salt, baking soda and baking powder in a medium-sized mixing bowl. 4. 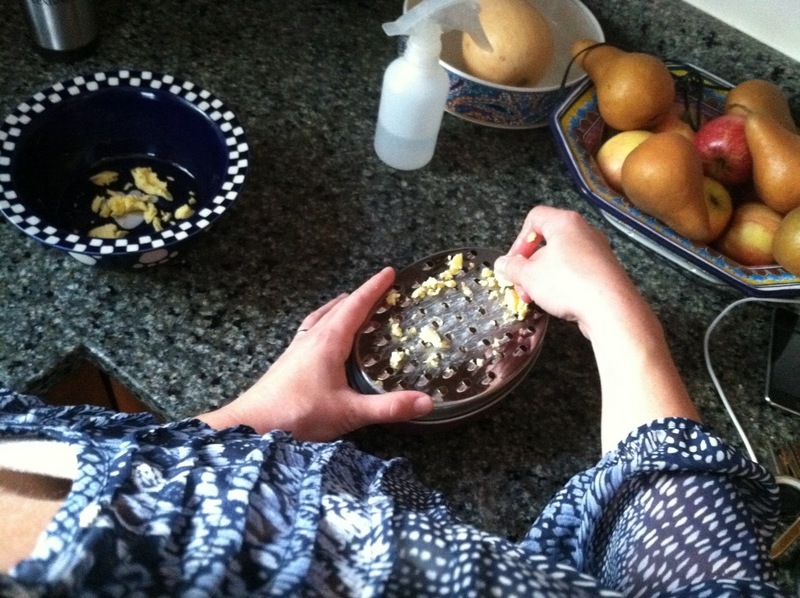 Once the butter is cold, take a grater and grate the butter into the flour. 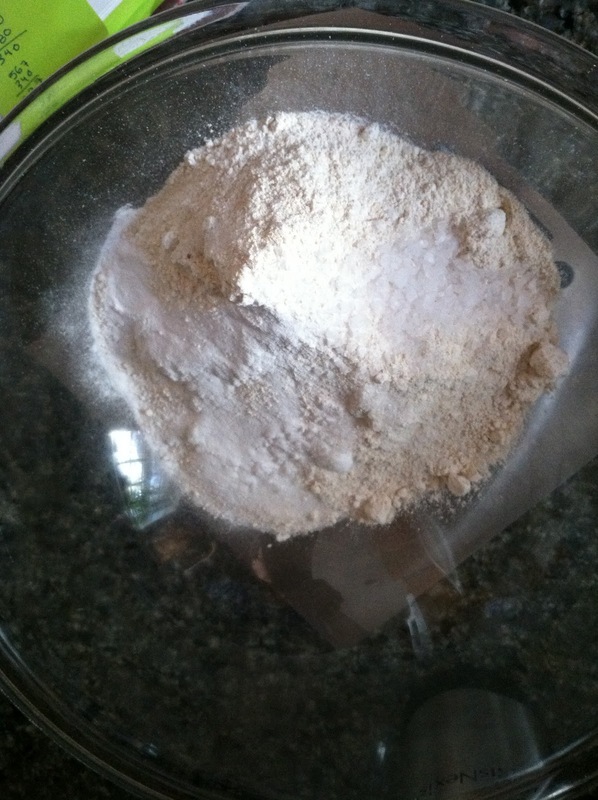 Or into a small dish to then add to the flour once grating is done. 5. 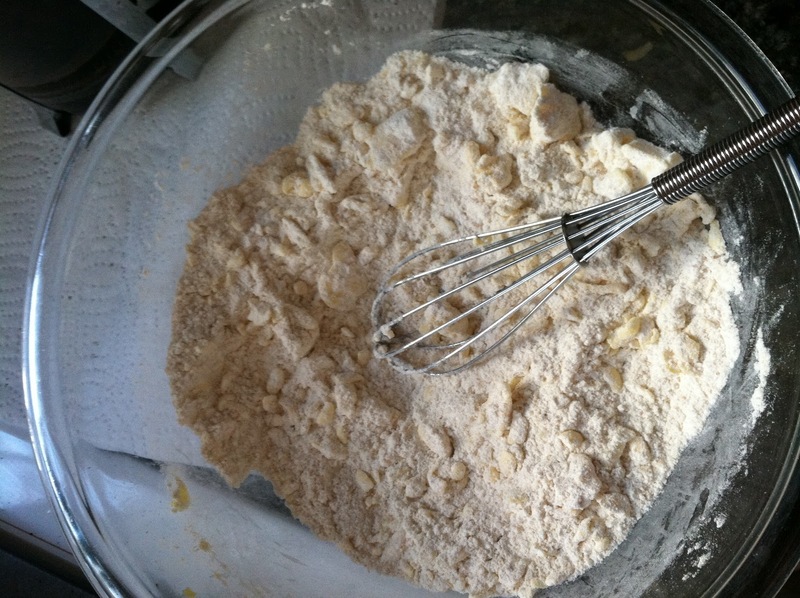 Stir the butter and flour until the flour coats the butter. 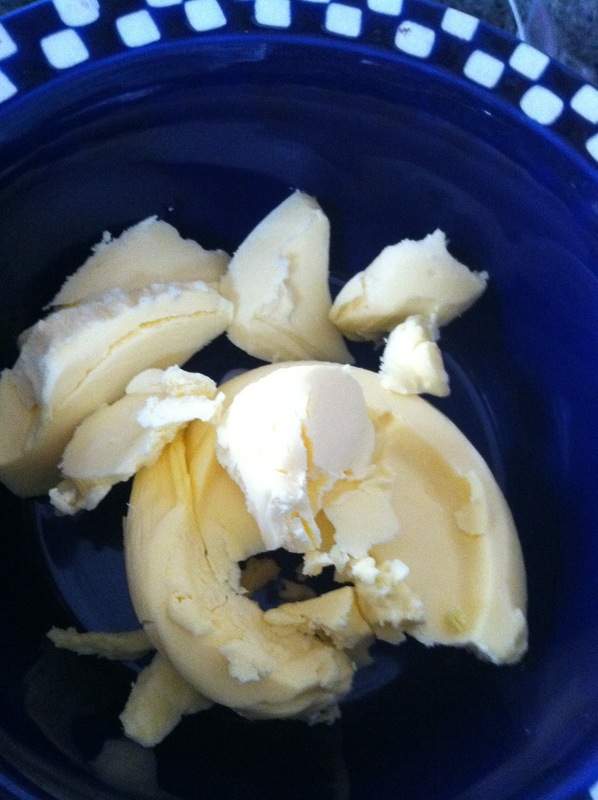 If you have big pieces of butter just break them up a little. 6. Now add the cream until the dough just forms a ball. I did not do this and thus had to add a lot of flour during the kneading phase. 8. 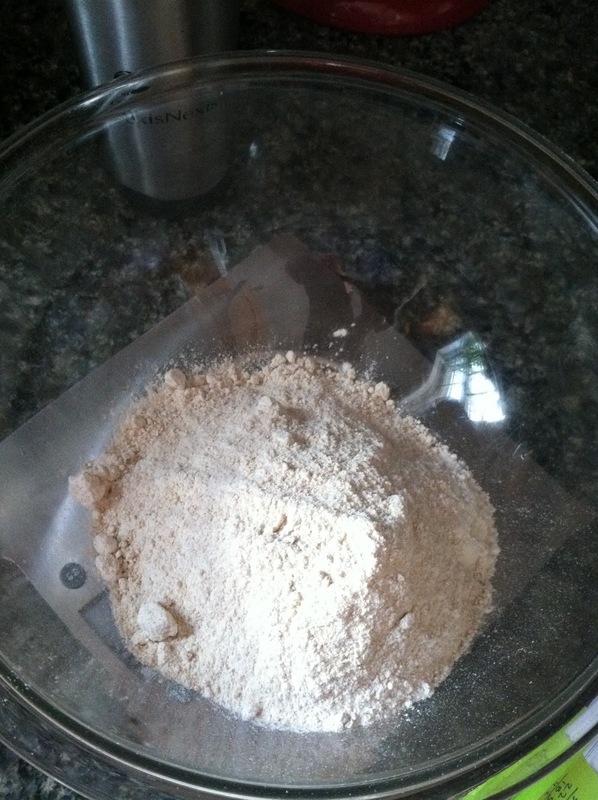 Place the dough on a well-floured surface and cover with more flour. Take a rolling pin and roll the dough out to about 1/2 inch height. 9. Fold into thirds like a brochure. Turn dough 90 degrees. Roll out again and fold again. Repeat two more times. 10. 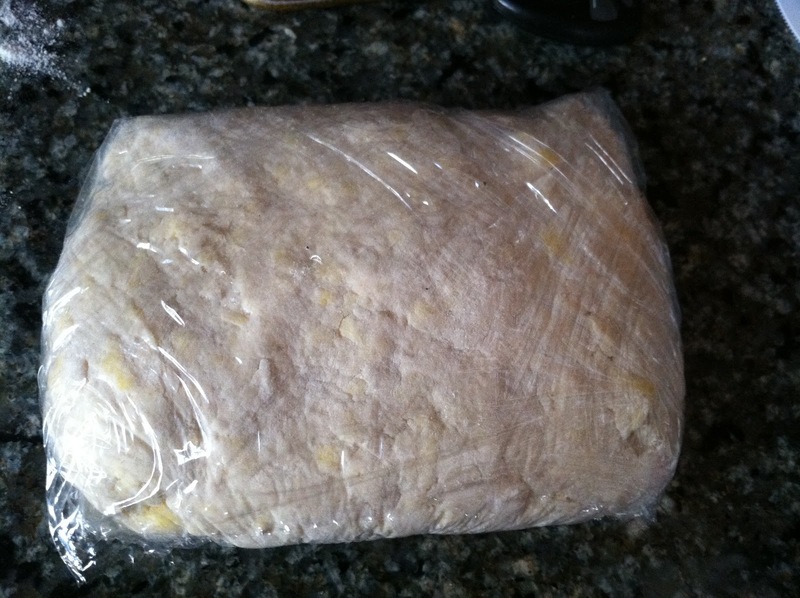 Now wrap the dough in plastic and let it rest in the fridge for 30 minutes while you preheat the oven to 500 degrees. 11. 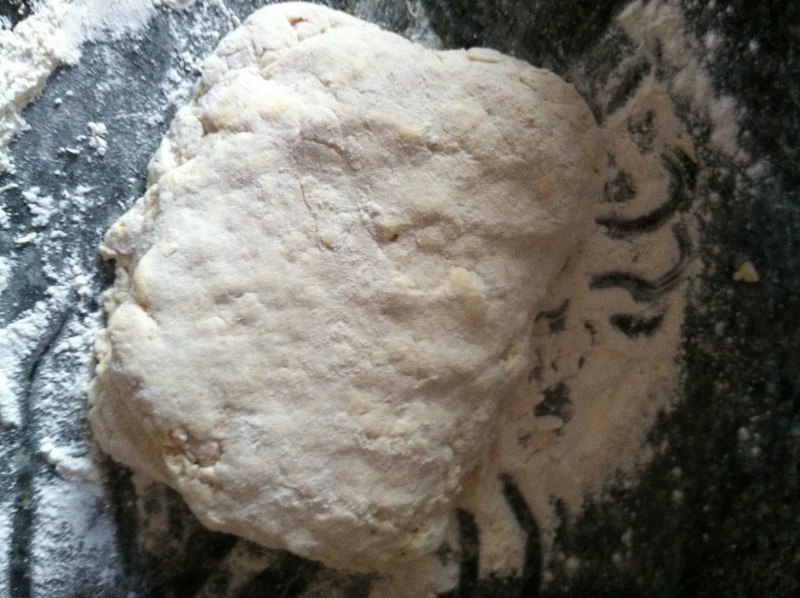 Take the dough out of the fridge, roll it out to 1/2 inch thickness, then cut using a biscuit cutter or a pizza roller. Your choice. 12. Move the biscuits to a baking sheet covered in parchment paper. 13. Pop those bad boys in the oven, then turn it down to 450 degrees. Rotate the sheets after 8 minutes, then bake another 6-10 minutes until golden brown. 14. Let rest on a cooling rack, then serve! These biscuits are so delicious and buttery, and the dough works for so many applications. I wish I took pictures of these when they came out of the oven. But since I didn’t, here is another project where I used this dough. 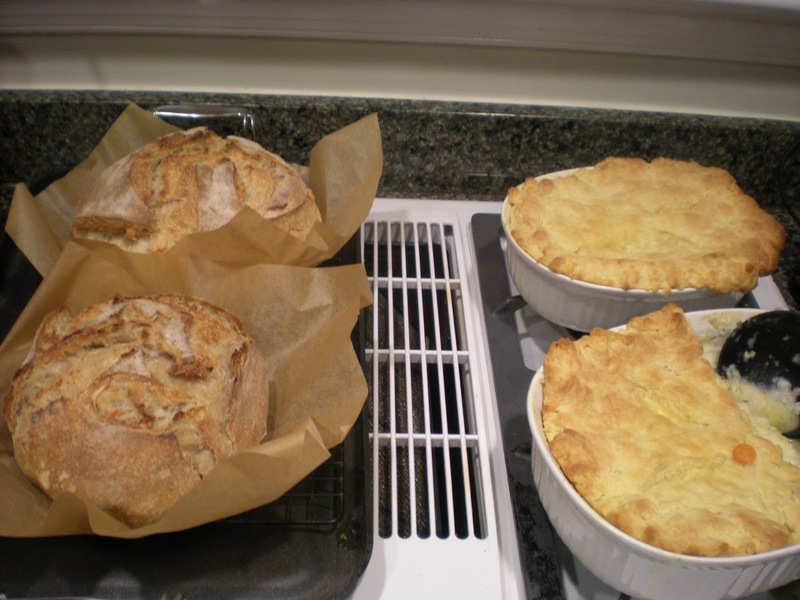 Here it serves as the crust of two delectable chicken pot pies. Really, anywhere you can use short crust, you can use this recipe.